a) Your tenancy agreement is a legally binding contract between you and us. It sets out your and our rights and responsibilities. c) If you are a joint tenant, you have the same rights and obligations as the other joint tenant or (tenants). Your rights and responsibilities cannot be split or shared between you. 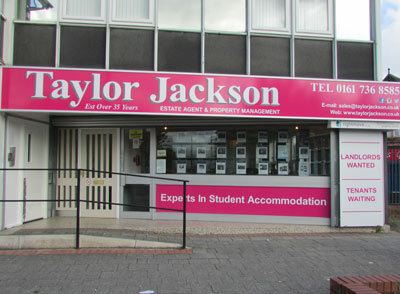 If one of you breaks the tenancy agreement it affects all joint tenants. If one joint tenant gives notice to end the tenancy, it ends for all of you. d) Your tenancy starts on the date set out in your tenancy agreement. It continues until the end of the specified term then continues from month to month until you or we cancel it. e) We will normally issue you with a new contract within 30 days of the end of your existing contract. f) As long as you pay your rent and keep to your tenancy agreement and these conditions, we will not normally ask the court for a possession order, unless, for example, we need to move you to redevelop your home. a) You must pay the first month’s rent when you sign up for your tenancy. You must then pay your rent, including any service charges, monthly in advance. b) If you are a joint tenant, you and the other joint tenant (or tenants) are equally responsible for paying all of the rent and any arrears. We can ask for all of the rent owed from any joint tenant. A joint tenant who leaves your home is still responsible for the rent, and so is a joint tenant who lives in your home on their own. c) In some circumstances we will ask for a guarantor to assume your financial responsibilities if you fail to honour your commitments. The guarantor must be a home owner resident in the UK. d) We can change the rent at the end of your current agreement or any time there after by giving you at least four weeks’ notice in writing. e) If we take you to court, we will add the costs of the case to the amount you owe us for rent. f) If we lose money because you don’t let us into your home to do necessary work, we will add that money to your rent or any amount you owe us. g) If you owe us rent, we will deal with you firmly but fairly. If you do not pay your rent and arrears, we will take firm action which could lead to you being evicted. a) Our Responsibilities. We will maintain the following and keep them in proper working order. i) We will maintain and repair the structure of your home, including drains, gutters and downpipes. i) You must report any repairs to the landlord or the agent immediately. ii) You are responsible for any damage caused to your home by you or anyone who lives with or visits you. As we are not responsible for repairing any such damage, you must pay us for any necessary repairs. However, we will give you a chance to carry out the repair. iii) Keeping your home clean and tidy. iv) Ventilating and heating your home to prevent condensation. vi) Changing locks or replacing broken keys. A copy of any new keys must be lodged with the landlord or the agent immediately the new lock is fitted. vii) Keeping grates, grids, drains, gullies, toilets, baths, sinks and waste outlets clean. viii) Taking care not to cause blockages. ix) Buying curtain rails and light bulbs. x) Taking reasonable care to make sure that your pipes do not freeze. xi) You must tell the police about any vandalism or criminal damage to your home and get a crime reference number from them. If you don’t do this, we may charge you for any repair work. xii) We are not responsible for any damage to your home’s contents and decorations. You should take out your own insurance to cover your personal belongings and decorations. xiii) Providing your own TV aerial, unless there is a shared aerial. xiv) Replacing missing plugs in sinks and wash basins. c) The following require written approval. i) Redecoration. You must not decorate your home without written authority, detailing the colours and materials in your proposal. If you do decorate without authority you will be charged to reinstate the original decorating scheme at the end of your tenancy. a) We will normally give you at least 48 hours’ notice in writing if we want to come into your home. b) You must let our officers, agents and contractors come into your home (to inspect it or do work on it or for any other reason) if we have given you 48 hours’ notice in writing. If you have failed to let us in more than once having given 48 hours notice we will charge you a fee of £25.00 +VAT. c) If we cannot get in, we can force our way into your home without giving you further notice. You will be charged for all the related costs. d) In an emergency and we need to get into your home immediately, we can force our way in without giving you notice. Example, there is a water leak, a gas leak or an electrical fault (or believe there to be) which may put people in danger, or which would cause serious damage to any building, if we did not repair it. e) If we need you to leave your home for a while so we can do work, you must leave your home for as long as necessary. f) We often pay penalties if our contractors cannot get into your home to do work. If we lose money because you do not let us in, you will have to pay this money and we will add it to your rent account. g) We need to check your gas appliances regularly to make sure they are safe. We may be prosecuted if we don’t do this. You could put lives at risk if you do not let us into your home when we ask to come in. h) If we have to force our way into your home we will make sure that your home is left secure and that you can get keys for any new locks that have to be fitted. You may have to pay for any costs of forcing entry such as new locks or doors. Those costs will be added to your rent account. a) You must not use your home for business purposes, unless we give you permission in writing. b) You are responsible for paying all connection charges for essential supplies (for example, gas, electricity and water) and for paying all charges relating to those supplies. c) You must not keep any moped, motorbike or similar vehicle, or any other machine driven by an engine, inside your home. Toys and garden tools are allowed as long as they do not cause a nuisance, any damage or a fire risk. d) You must not allow anything to block access to or from your home, any other home or any shared area, including fire escapes. e) You must take reasonable care to make sure that any outbuilding, yard or garden you have is kept clean and free from rubbish. You must look after the garden and keep any trees, bushes, hedges or grass at a reasonable height or size. f) You must take reasonable care to keep your home, any shared areas, and any outbuildings secure from intruders. g) You must not put any structure (shed, garage, pond, greenhouse, fence, wall or anything similar) on any land that is provided with your home unless you have our permission in writing. At the end of your tenancy, you must remove any structure unless we agree, in writing, that it can stay. h) You must not keep or use bottled gas, petrol, paraffin or other flammable or explosive substances in your home or in any area nearby. i) You must not let waste or other materials that may cause a fire or attract pests build-up in or around your home. j) You must not use any bottled-gas or paraffin heater if you live in a block of flats, bedsit or maisonette. k) You must make sure that no-one going into or leaving your home makes a noise which might disturb your neighbours. l) You, and anyone in your home must take reasonable care to make sure you do not use any audio equipment, TV, washing machine, power tool or other appliance in a way that might disturb your neighbours. m) You must not put any material that is difficult to remove (for example, Artex) or highly flammable (for example, polystyrene tiles), or likely to cause noise nuisance (for example, laminate flooring) on any surface inside or outside your home unless you get our written permission first. We will not refuse without good reason. n) You must not allow any fire fighting equipment, fire alarm, smoke detector, security system or similar safety or security device inside or near your home, to be interfered with or removed. You must not allow any fire door or security door to be kept open. o) You must not allow your home to become overcrowded, the managing agent will advise you on overcrowding. p) For maintenance reasons, you should tell your housing office, preferably in writing, if you will be away from your home for more than 14 days. If you receive Housing Benefit, you must tell the office if any of your circumstances change. q) Some trees can cause subsidence (this is where the ground shrinks, which can damage property) by taking too much water from the soil, or nuisance by blocking light to your neighbours. It is important that you get permission in writing from your landlord. r) If you move out of your home or sublet any part of it, the tenancy will no longer be secure and you would lose some rights. a) As well as being responsible for your own behaviour, you are also responsible for the behaviour of any person who lives in or visits your home (this includes adults and children), while they are in your home, in shared areas (such as stairs, lifts, landings, entrance halls, shared gardens and so on), in the area around your home and in our offices. b) You must make sure that no-one you are responsible for breaks any of these tenancy conditions. c) You must make sure that you and the other adults or children who live in or visit your home do not do the following. i) Anything that causes (or is likely to cause) a nuisance to, or harasses, annoys, disturbs or distresses any person (including our staff and agents). ii) Use, or threaten to use, mental, sexual or physical abuse against anyone who lives with you. iii) Cause any member of your household to leave your home because of domestic violence. iv) Use your home for any immoral or illegal purpose, including taking, selling or supplying drugs. d) Examples of nuisance or harassment include the following. f) Supplying sexual services for gain. a) You must not keep a pet without written approval from the Landlord or the managing agent. b) You must make sure that no pet that you keep or that is temporarily in your home causes a nuisance or annoys or frightens anyone. c) You must take (and pay for) all reasonable steps we think are necessary to prevent any pet from causing a nuisance to or annoying or frightening anyone. This includes providing suitable fencing. d) If a pet at your home has caused any nuisance or annoyed or frightened anyone, you cannot keep it unless you have our permission in writing. a) You must give us 1 months notice in writing if you want to end your tenancy and you must give a forwarding address. b) Once you have given us notice to end your tenancy you must give us access to your home to inspect it and show new tenants around. We will make an appointment with you before these visits. c) At the end of the tenancy you must leave your home and any out buildings empty and secure and you must give us all the keys to it. d) You must return the keys to your housing office before 12 noon on the day that your tenancy ends. If you do not return the keys on time, we may charge you extra rent for every week or part week until we receive the keys. e) If we have to change the locks to the property, you will have to pay our costs. f) At the end of the tenancy, if there is any damage to your home or you have removed an item we own, you will have to pay for any repair or replacement and any other loss suffered by us. g) If you stop using the property as your only or main home without telling us first, we will assume that you have given up the tenancy. We may then end your tenancy by giving you 28 days’ notice. h) Once the tenancy has ended, we will remove any item you leave in the property and we will either dispose of it, or store it, as the law allows. You will have to pay our costs for this. iii) Administration costs on the above not exceeding 15% of the cost, fees and charges. b) Council bonds. If you are unable to fund a deposit some councils and landlords will allow a bond. The same deductions will be applied for against you bond as with a deposit. This will affect your ability to obtain council accommodation and bonds in the future. a) If you do not understand the content of these terms and conditions you should seek legal advice from a qualified professional. b) If English is not your first language you must obtain your own translation or take advice from a qualified professional.